Nearly 70% of those incarcerated in California, and 1/3 of the homeless population that are transition aged youth in Santa Cruz County have experienced foster care at some point in their lives. A committed caring adult in the life of a child who has been abused, neglected or abandoned is a simple way to have a positive impact on the outcomes for foster youth. 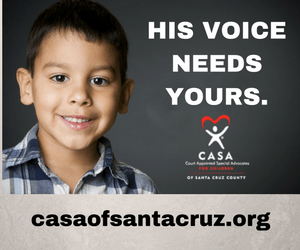 CASA volunteer Advocates are everyday people, trained by CASA and then appointed by judges to advocate for the safety of children who have been removed from their homes because of abuse or neglect. Advocates are fully supported by a staff supervisor and are part of a team that works in the best interests of the child. 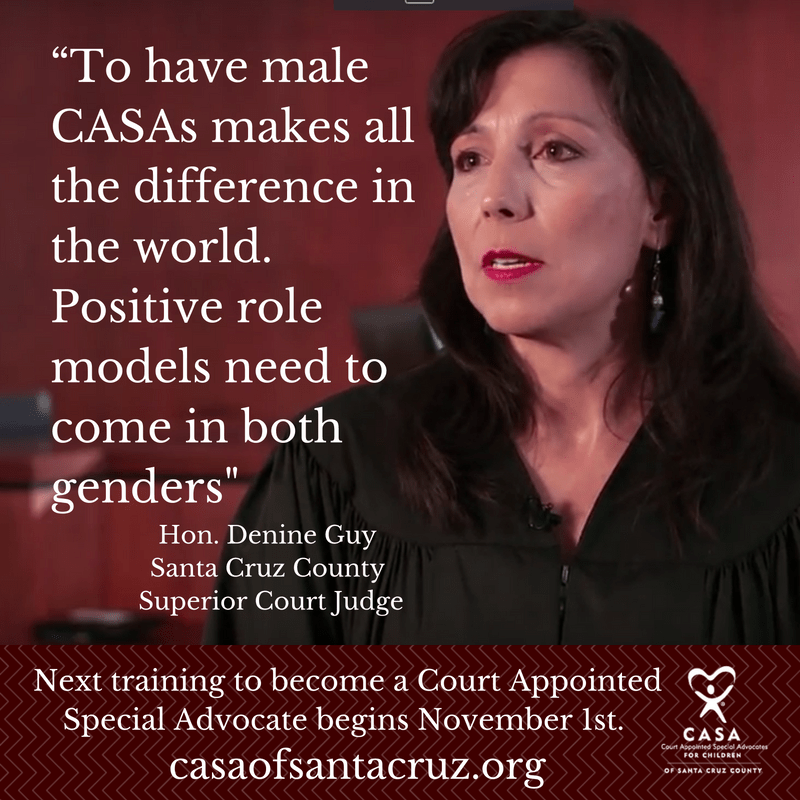 The Outreach and Recruitment Manager for Court Appointed Special Advocates (CASA) of Santa Cruz County has reached out to TBSC as they have on ongoing need for volunteers. We are more than happy to share information about the work CASA does with children and youth in foster care in our county and to “Spotlight” their need for volunteers. Volunteer Advocates spend approximately 2-4 hours a week with a child or youth with whom they’ve been matched. The volunteer builds a bond with the child, and advocates on their behalf in their school, with their caregivers, and in the court. We are you. Be part of the solutions. Find your gift and share it. Together we can make a difference.